Google Analytics is a free and powerful conversion tracking tool that can be used to identify visitors to your website along with their browsing and purchasing behaviors to increase traffic and conversions on your website. Note: If you already have Google Analytics, then skip to step 4. 1. Go to Google Analytics website and sign up for an account. 3. In the Keyword search box, enter Analytics and choose the plugin that you wish to use. Note: All listed plugins are compatible with our Shared Unix Hosting platform. 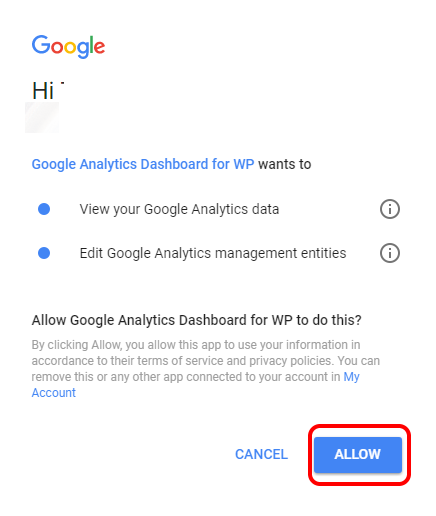 This article covers Google Analytics Dashboard for WP (GADWP). However, you can add any of the plugins you wish. For example, if you are using WooCommerce, you may wish to use Enhanced Ecommerce Google Analytics Plugin for WooCommerce. 4. 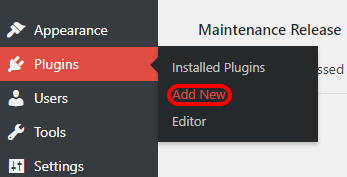 Once the plugin is installed, click Activate. WordPress will take you to the plugins section. 5. 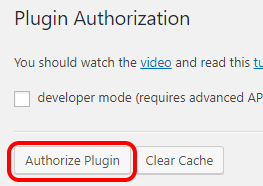 Click Settings for the plugin. 7. Then click the Get Access Code link. 8. In the new Browser window, click Allow. Your access code appears in a separate pop-up window. 9. Select and copy the code, go back to your WordPress window, and then paste the code. Click Save Access Code. 10. Click Lock Selection for the correct website if you have more than one website in your Analytics account. 11. 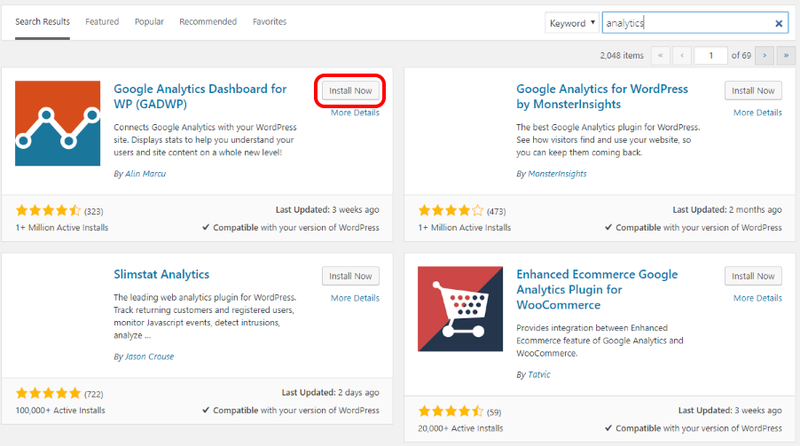 The plugin will be enabled in your WordPress Dashboard and you can go to your Dashboard Home to view your Analytics data. Note: If this is the first time adding Analytics to your site or using it, it can take up to three days for statistics to generate and show within Analytics and your WordPress Dashboard. 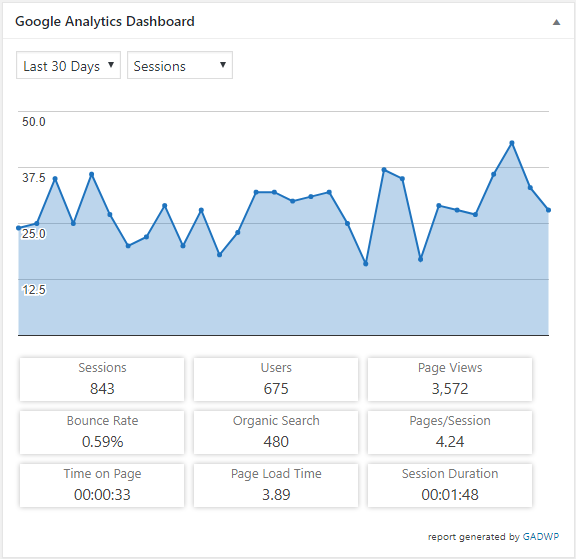 Google Analytics is now set up to track visitors and conversions in your WordPress website. How Do I Install WordPress from My Web Hosting Control Panel? How Do I Use Google Analytics to Track Visitors and Conversions in My eCommerce Products? Network Solutions—How Can I Track Visitor Traffic Statistics for My Websites? What is WordPress?